Did you know that many of the most common sports injuries affect the legs and lower body? Knee injuries and ankle sprains number in the hundreds of thousands each year. The winning combination of CoolBoard benefits – Your increased balance, agility and proprioception, improved core strength, stronger joints and better mental focus – will mean you’ll avoid more injury situations. If you do end up in a situation likely to injure yourself these increased attributes will combine to make it far more likely that you’ll react correctly and be able avoid injury. By being the most effective trainer for all of the physical attributes listed above, see our other benefits, time on CoolBoard is the best way to prepare to avoid injury. This also means CoolBoard is essential in rehabilitating after injury. Anyone leading an active life including sports players, the aging and the young. Free 24 hr delivery to UK mainland. Worldwide shipping available – calculated at checkout. 21 day no quibble money back guarantee. Handmade by us in Bristol, UK, from eco conscious materials. Buy it – Try it – if you don’t like it – return it! 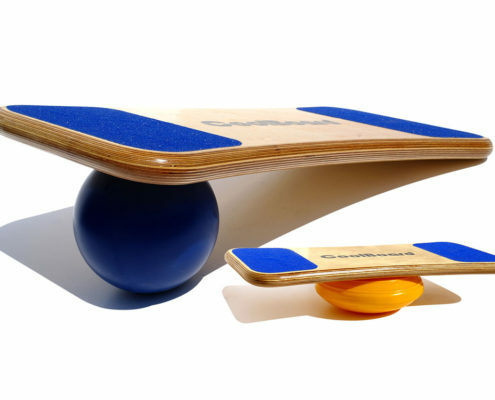 We only sell direct – this is how we supply a far superior balance board at a similar price to common roller balance boards.